Amsterdam: The Champions League last-16 first-leg match between Real Madrid and Ajax Amsterdam on Wednesday is an intriguing clash of two European heavyweights who have made young players central to their strategies, but for very different reasons. Midfielder De Jong, 21, has agreed to join Barcelona next season for 75 million euros (Dh311.3 million) while defender and captain de Ligt, 19, is one of the most coveted players in Europe and odds-on to depart at the end of this campaign for a huge transfer fee. Real, meanwhile, have shifted their attitude towards young players, ditching their infamous pursuit of ‘Galacticos’ such as Cristiano Ronaldo, Kaka and James Rodriguez to target top young prospects instead. Vinicius signed from Flamengo in 2017 for 40 million euros, an eye-watering fee for a player who had barely turned professional, but in a market where Paris St-Germain’s Neymar cost 222 million euros and Kylian Mbappe 180 million euros, the transfer looks like shrewd business. The policy shows little sign of halting, with Brazilian forward Rodrygo, also 18, set to join in June after agreeing a 50 million-euro move from Santos, while Brahim Diaz, a 19-year-old Spanish winger, signed from Manchester City last month for 15 million euros, despite never making a Premier League start. “The idea is good, the timing is not. 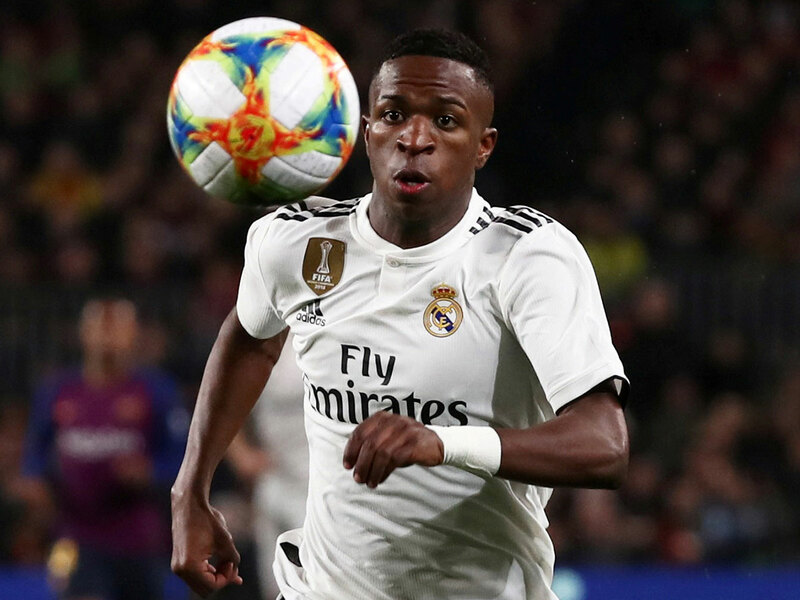 These brilliant talents need protection, which Real Madrid cannot offer.” While Vinicius and homegrown 22-year-old defender Sergio Reguilon are likely to start against Ajax, the rest of Santiago Solari’s side are in their late 20s or early 30s.